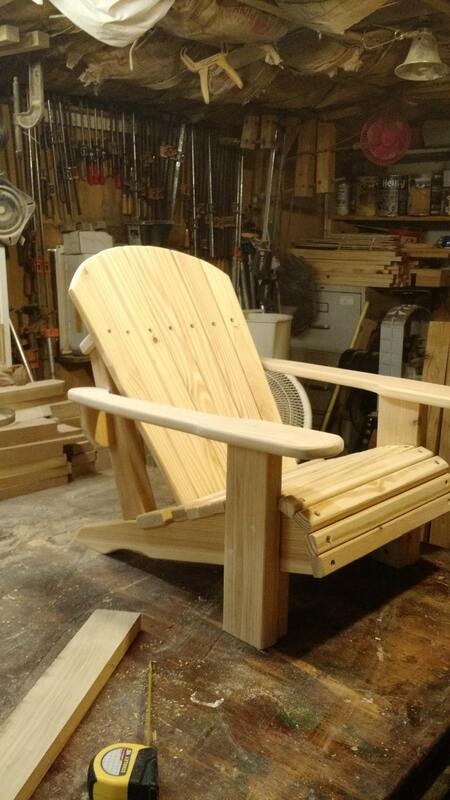 THIS BEAUTIFUL HANDCRAFTED CHILDREN'S ADIRONDACK CHAIR IS STURDILY CONSTRUCTED FROM SOLID CYPRESS HARD WOOD, AND COMES FINISHES - NATURAL TEAK OIL THAT IS DESIGNED TO STAND UP TO ALL OUTSIDE ELEMENT. 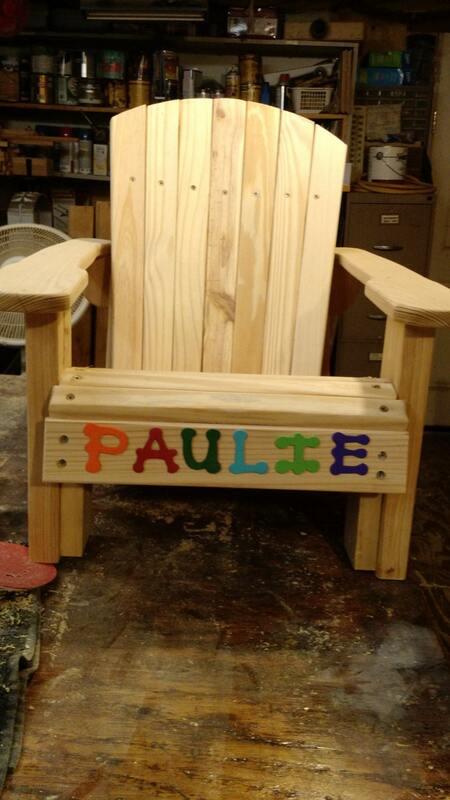 AS WITH ALL WOOD NOOK PRODUCTS, THE CHAIR IS TOTALLY CUSTOMIZABLE - WE WOULD BE HAPPY TO ADD YOUR CHILD'S NAME, AND ALSO OFFER A VARIETY OF FINISHES - ALL CHILD SAFE AND AT NO EXTRA CHARGE. IT IS STURDILY BUILT WITH PRIDE AND DESIGNED TO LAST FOR MANY YEARS OF ENJOYMENT. 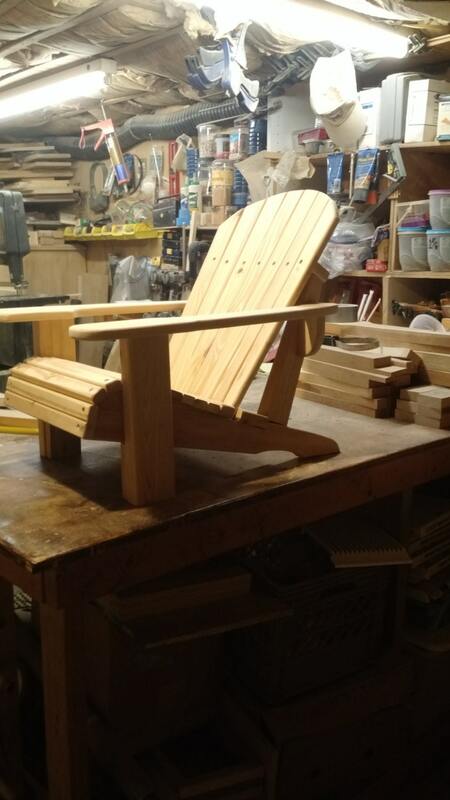 PROUDLY HANDCRAFTED BY HAND IN THE USA. 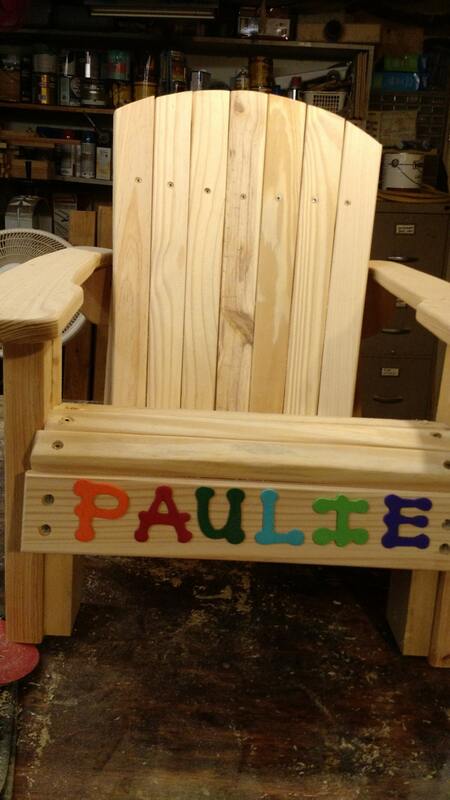 CALL US WITH ANY QUESTIONS THAT YOU MAY HAVE...(941) 830-2338 OR CONTACT US BY EMAIL AT: woodnookllc56 [!at] gmail.com. 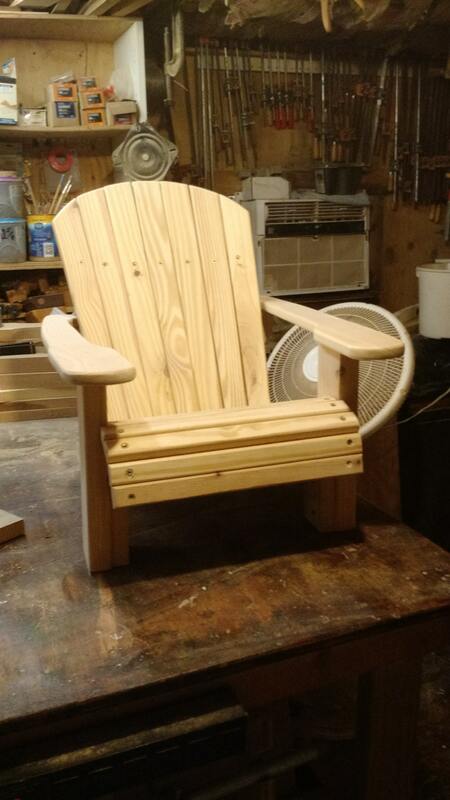 The workmanship on this chair is excellent. My VERY picky daughter, the mother of the child who now owns this beautiful chair, is more than happy and gave it 5 stars. Believe me when I say this is extremely unusual, so you can be sure the chair is of excellent quality and well worth the price. I will definitely use these folks again if the opportunity arises.